Switching it up from the indie picks lately and going back to my electronic music picks! 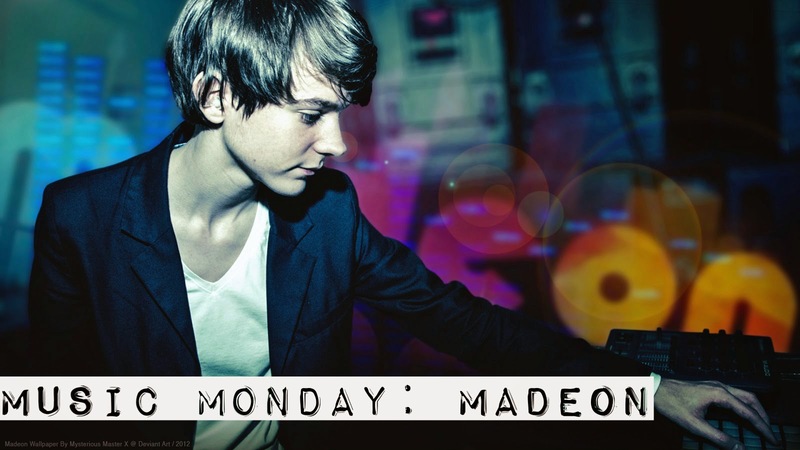 Today I'd like to introduce you to Madeon, whom if you haven't heard yet, you're going to love for a Monday pick-me-up! Hugo Pierre Leclercq (yeah, he's French) is only 20, and gained instant popularity thanks to his video "Pop Culture" in 2011. Since then, he released an EP in 2012, performed at several major music festivals, and just recently, put out a full album. If you're in need of some beat-filled electronic music, look no further! Also, I'm massively fan-girling over his collaboration with Dan Smith (from Bastille)! I could recognize that man's beautiful voice anywhere...sigh. Hope you enjoyed today's artist! Have you heard of Madeon before? Let me know in the comments! I've never heard of them before but NOW I HAVE AN I LOVE THEM. You are my music soulmate. Listening to this in the morning - hell yeah!! I had not heard of Madeon, but now I have time. Time to zone out!